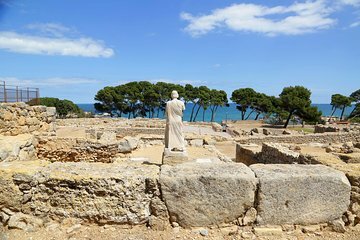 Visiting Costa Brava and the Ruins of Empuries is a popular Barcelona day trip, and this private tour offers a luxurious way of visiting at a great value. Discover the hidden coves, stunning coastline, and traditional towns of the Costa Brava with the benefit of a private guide to share stories about the region, and then sail to the Medes Islands on a pre-arranged boat trip. Panoramic Ship tickets (approx 17€) To be paid to your guide, the day of the tour.